The North Face of the Cursed Mountain. Sounds like a pretty terrifying line to ski! 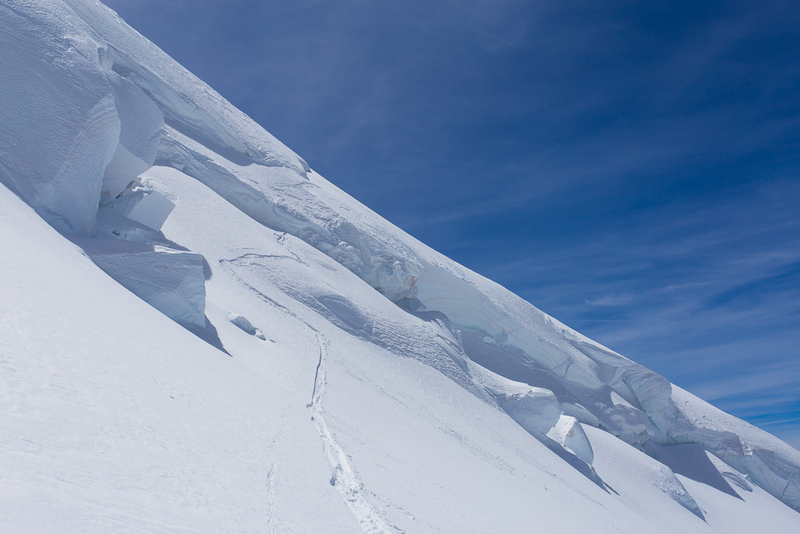 In reality Mont Maudit’s North Face is a lot more friendly that its name suggests and makes an excellent summer ski. 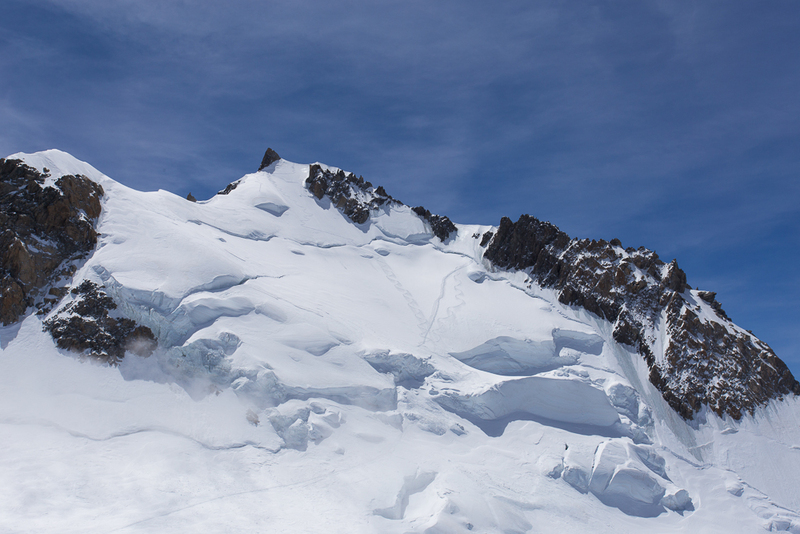 From the Aiguille du Midi, it takes about 3 to 4 hours to reach the top of Mont Maudit. Once at the summit you’re greeted with great views of the Mont Blanc massif, in particular Mont Blanc’s stunning south side. Clip into your skis and after a short section at about 50 degrees the angle quickly mellows to the low 40s. 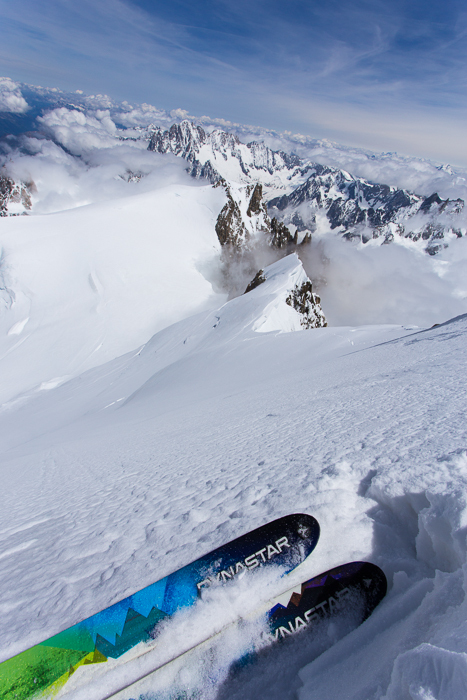 Once at the base of the face, there’s a short skin back up to Mont Blanc du Tacul’s west shoulder and another fun descent back down the Tacul’s north-west face to the Midi. Time this tour with snowfall on light winds a day or two before and you’ll be rewarded with 1000m of 30-45 degree powder with more than enough space to get fresh turns all the way. Well worth the effort! Mont Maudit’s north face. The summit is the pointy block of rock at the top of the photo. You drop in from the ridge just to the right. The crux section is the first 40m or so below this ridge which go at approximately 50 degrees. Ready to go after downclimbing 10m to avoid a thinly covered patch of ice at the top. With sheet glacial ice a few metres to my left and firm névé to my right, the first few turns were pretty tight and controlled. After this though the snow depth improved and I was rewarded with big smooth turns in cold, unaffected powder. 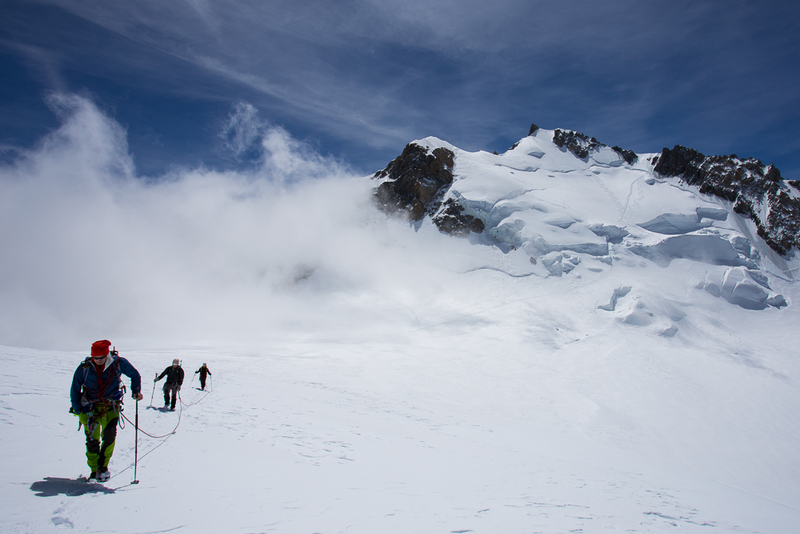 A few alpinists returning from the summit of Mont Blanc, Mont Maudit in the background. 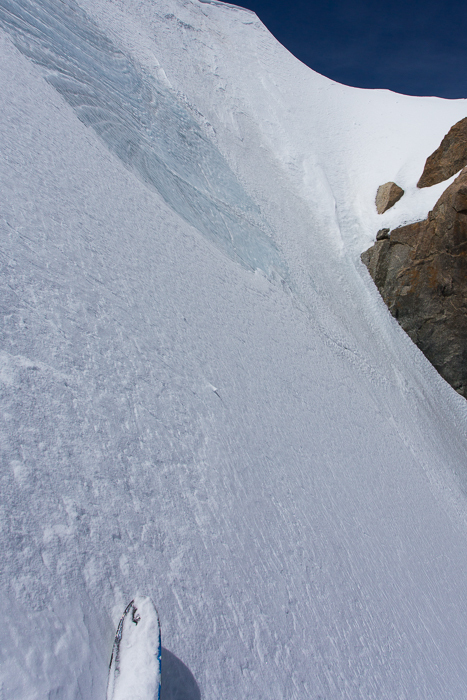 Dropping seracs into great snow on Mont Blanc du Tacul’s north-west face. The view once back at the Midi. 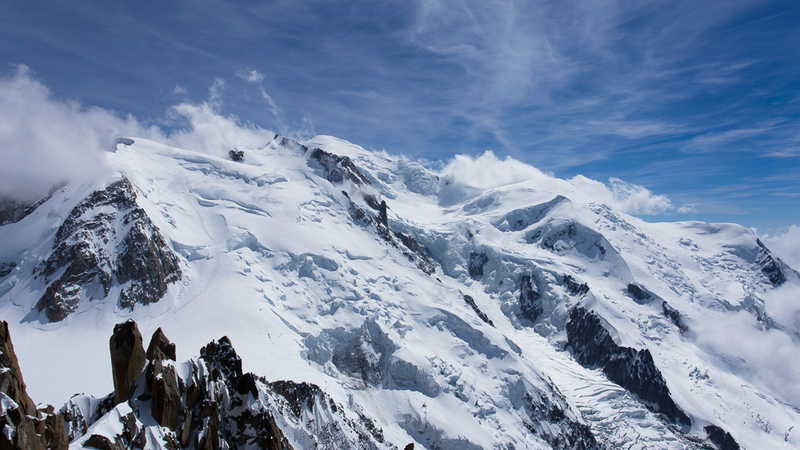 From here you can clearly see Mont Blanc du Tacul’s north-west face (the one in the foreground with tracks), Mont Maudit’s north face (further along to the right) and Mont Blanc.